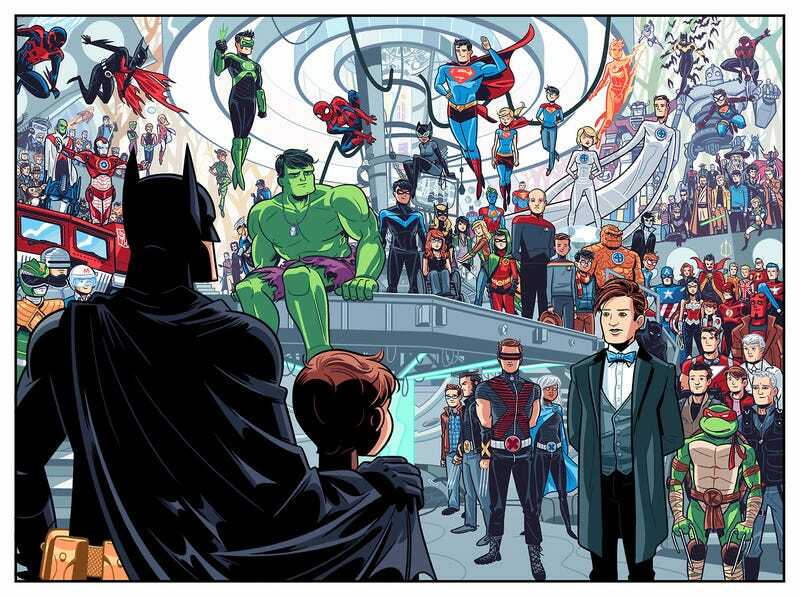 Dean Trippe's comic Something Terrible is a deeply personal account of his experiences following a childhood trauma, and how the fictional heroes he grew up admiring helped him cope with those experiences even as an adult. Trippe is posting Something Terrible very gradually online as a webcomic, but for 99 cents, you can download the brief comic in its entirety, including Trippe's afterword, which fills in some of the details sketched out in the comic. I definitely recommend reading it all at once. The image up top is also available as a print through Society6.